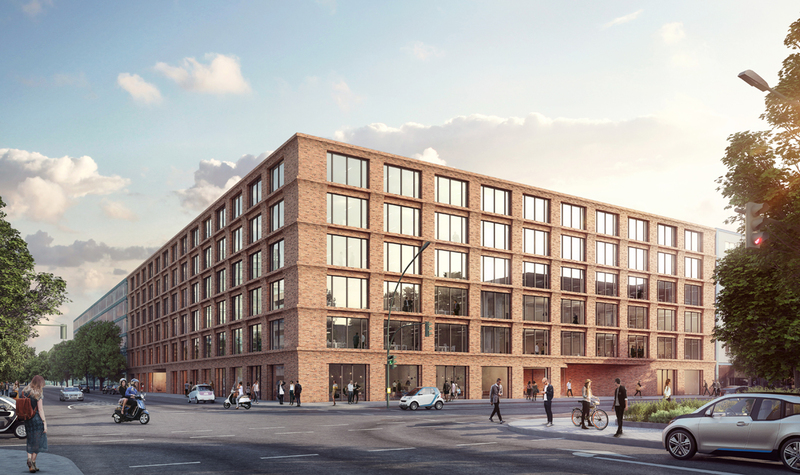 The Prinzenhof in Berlin-Kreuzberg offers a spatial structure that is so robust and at the same time so flexible that many different companies can optimally co-exist there. 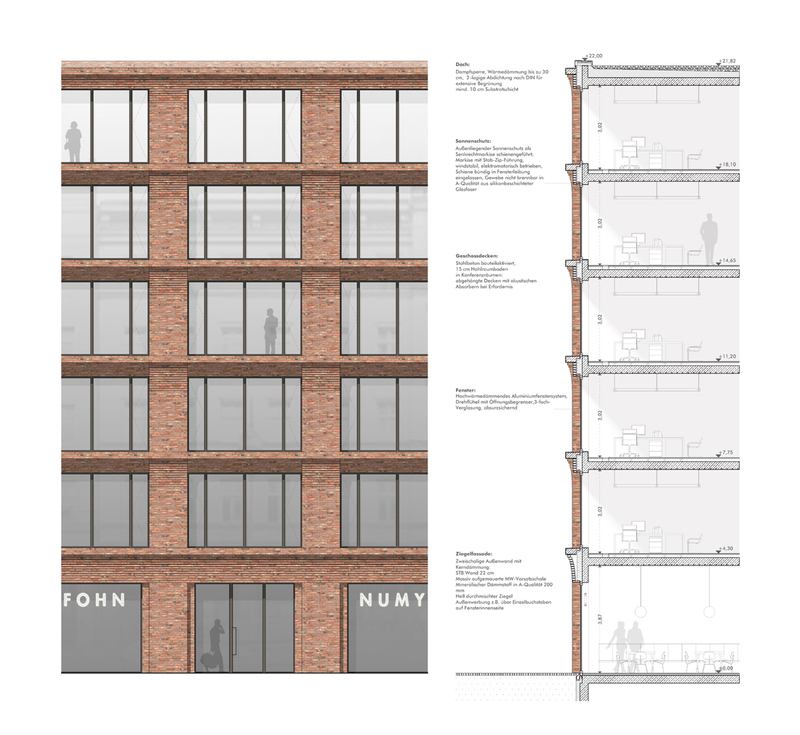 There are eight flexible units offered per level in the five upper floors. 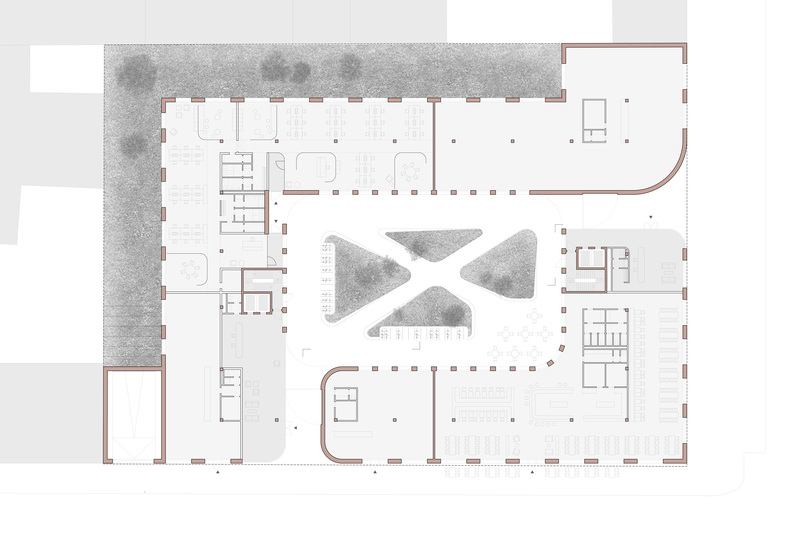 In order to show the versatility of the plan, both open floor plan layouts and cell office structures were developed, but the individual building blocks can be freely combined. 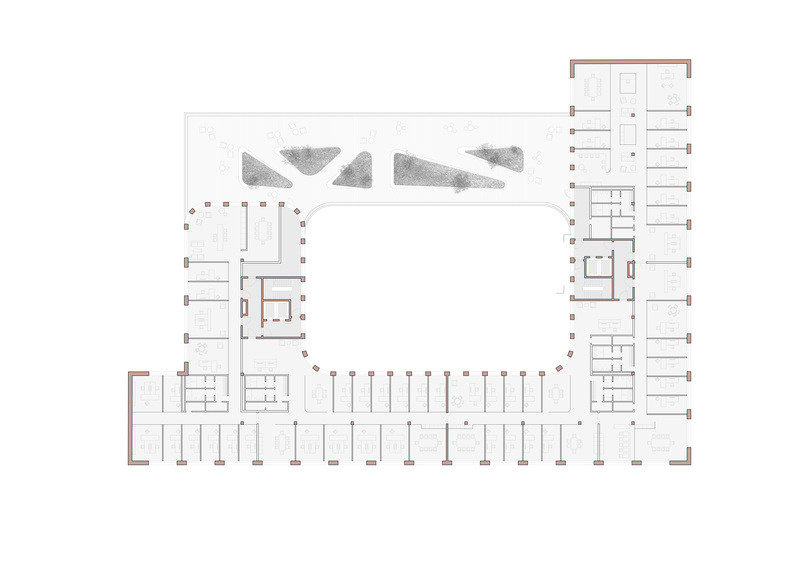 The units can be joined together if required, and even form a circular floor plan on each story. 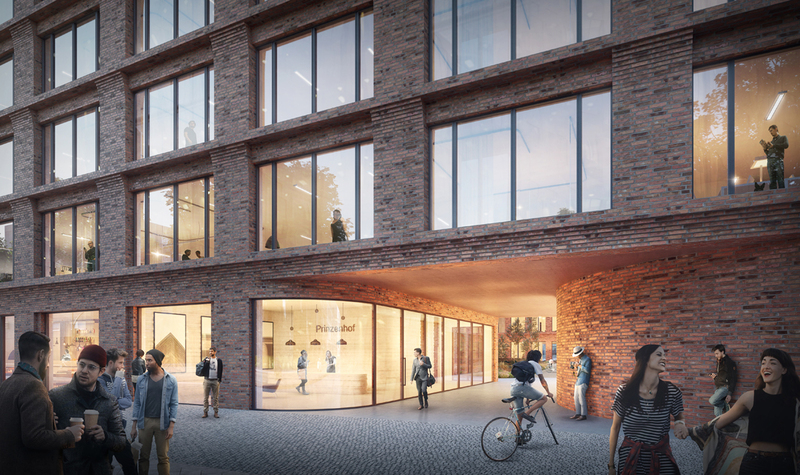 The design concept is based on the idea of ​​developing a unique architectural expression, one which is linked both to the location, in particular, and to Berlin’s building traditions, in general. 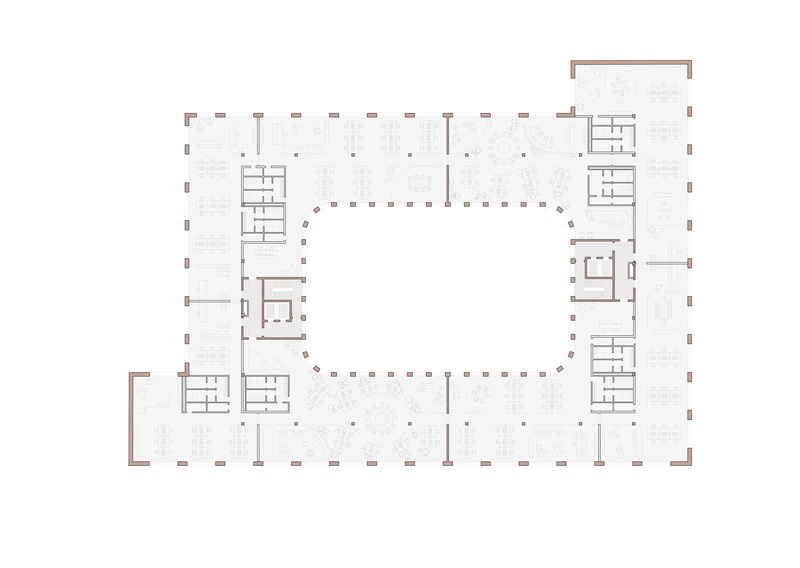 The analysis leads to outstanding commercial buildings – such as Osram’s work S – which are found in similar form throughout the city and are examples of a quasi-universal architectural form. The ornamentation is thereby reduced to a precise image by means of abstraction. 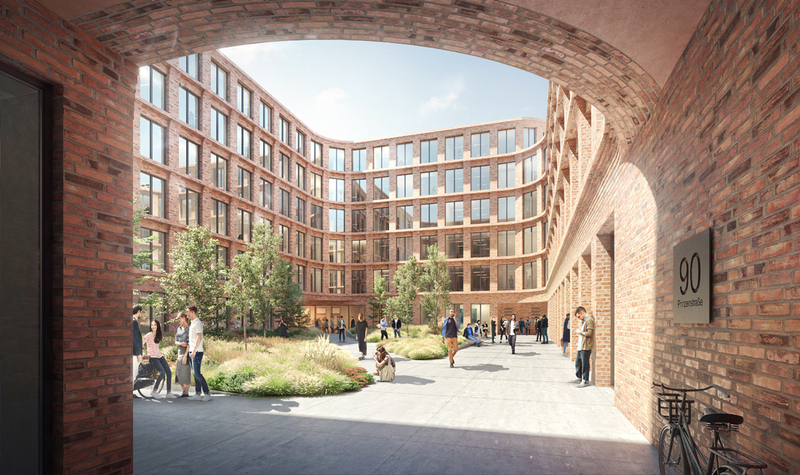 The architectural expression of the new building results from the choice of material (a bright red brick), a sculpted façade, as well as the generous window openings, which ensure optimal lighting of the interior. All in all, an image emerges of a self-contained, powerful building that, despite a restrained, objective architectural language, asserts itself in the urban context. 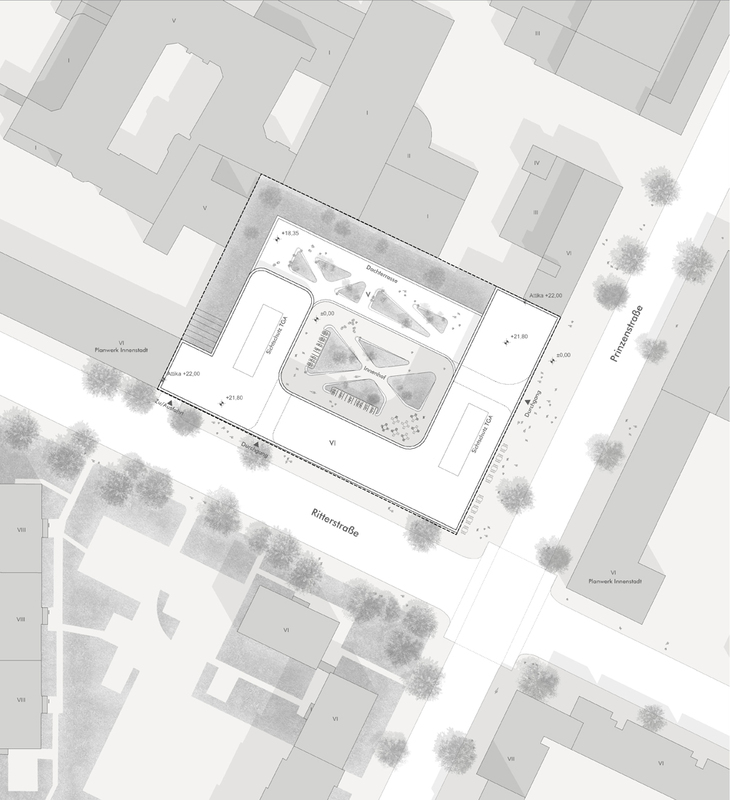 The building concept aims to create a public space in the form of a generously dimensioned inner courtyard.